Have you had too much fun in the sun, or is there some other reason why differences of opinion cannot be expressed here without the exchanges degenerating into petty, personal attacks. Please spare the rest of us and conduct such exchanges prIvately. The Earth is flat. If you don't think so send me a private message, or better yet, just to be really private, meet me in the closet at half past 5. Here's some info regarding the April 15 protests. Lots of links to follow in case you want to become involved, including an events page on Facebook. If I find info regarding local events, I'll post it on this forum. I bet you don't have a clue what I think. Here's a clue for you: My solar panels make 100 percent of our power usage. The installers recommended a smaller system that would simply limit outside consumption to the lowest tariff rates but I opted for one that produces over 100%. Retrofitted my house with all the practical energy saving devices too. How about you? Talk is cheap. BTW the Chinese, the world's biggest polluters, are building coal burning power plants at the fastest rate in the world. Look it up. 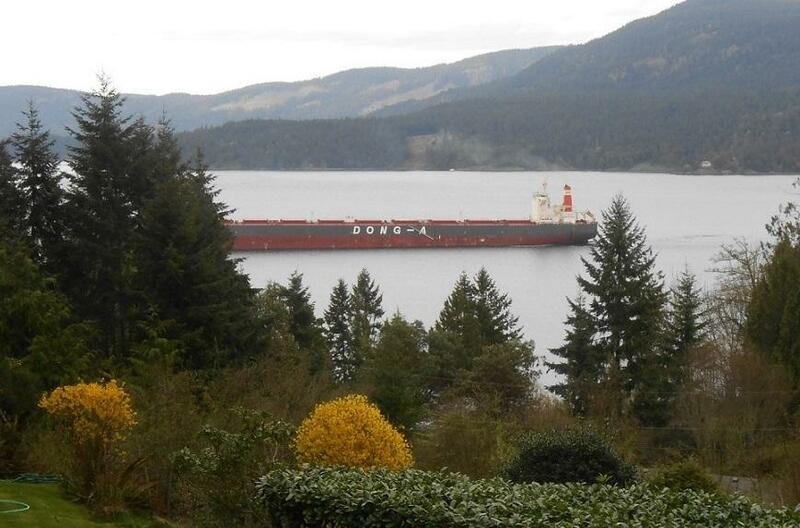 Even more bizarre is that US is shipping coal from Westshore Terminals in Canada (Vancouver) . We have around 40 Chinese ships around our Islands waiting patiently their turn....for weeks,..... sometimes months. This is one in my view. Ugly thing. Our shores are lined with them. We are back home now. Cleaning the mess from winter storms.